Have you ever thought about the immense treasure of handicrafts and handlooms that our country boasts of? Every corner, state, and region has crafts synonymous with its culture and history. Each so distinct and unusual. 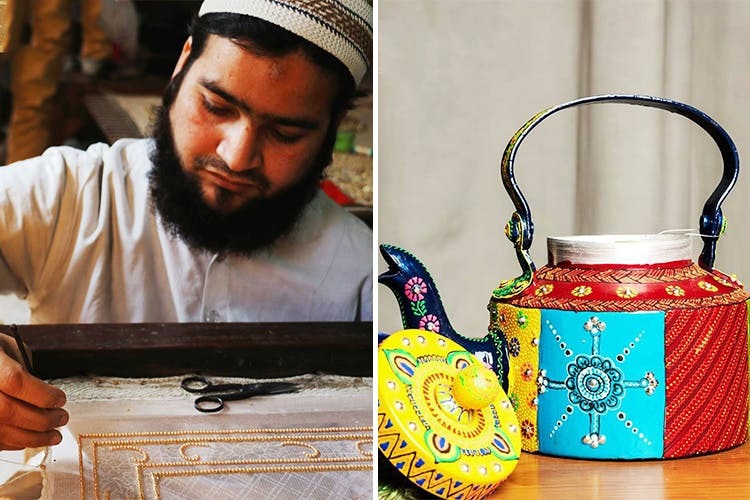 The India Craft House is a one-stop shop for a whole gamut of arts and crafts from every conceivable corner of this vast and vibrant country. It is a social enterprise committed to creating a global, fair trade platform featuring a wide range of Indian craft and supporting artisans across the country. According to them, the possibilities of what can be created with Indian craft are difficult to quantify. They work with you to understand and then direct the creation of unique pieces of art and craft, tailored specifically to your needs and preferences. Their online store has a plethora of handcrafted products that you can choose from - Madhubani paintings, dhokra metal craft, kavad craft, phad art, shell craft, chanapatna toys, painted leather crafts, potua art, palm leaf weaving, kadam wood carving, Bastar tribal art, santhal art, gond painting, and a host of other things. So if you are looking for something intrinsically Indian and craftsy, head to their website or check out them on Instagram. PS - They have also introduced a new element on their website whereby you can even earn points on your purchases.